Talking drum (“tama”) master Baye Kouyate, originally from Bamako, Mali, has been in New York for four years. His performances are a journey through a world of highly complex polyrhythms fusing traditional sounds of Mali with influences such as jazz, reggae, and latin grooves, all delivered by a high spirited crew of musicians. Les Tougarakes includes: Leni Stern; guitar, Shanir Ezra Blumenkranz; bassist, Tim Keiper; drumkit, and Yacouba Sissoko on kora. Before touching down in the New York City scene, Baye spent five years in Paris playing alongside French-Ivorian innovator Toma Sidibe. 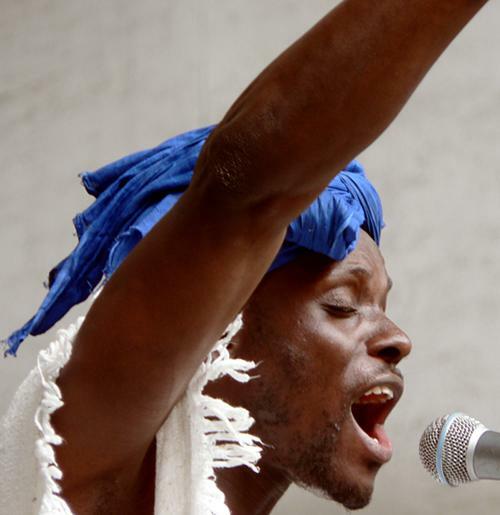 Recently, Baye has performed at Brooklyn Celebrates African Festival as well as shared the stage with well known artists such as Cheick Tidiane Seck, Mamadou Diabate, Vieux Farka Toure, The Brazilian Girls and Kenny Wolleson.